I love Bubble Babys on Etsy they have so many great items not to mention personalized items for girls and boys everything from hair clips, towels, pillow cases, bow holders, shirts, and so much more. Definitely be on the look out for cute personalized Christmas shirt from them. The shirt that we were able to review was the Boutique Peronsalized Princess Shirt perfect for a Birthday shirt. We absolutely love this shirt ours came in purple and of course we got the J for Jordyn everything else looks the same except her's has a light pink color for her name. Jordyn really thinks she is a princess here. Precious and Colorful! 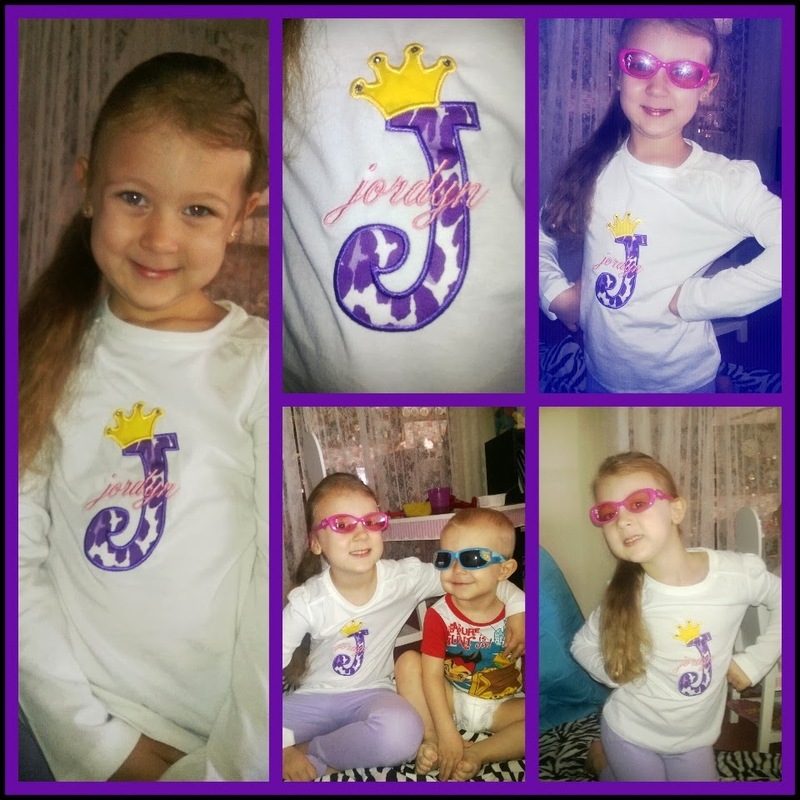 Our princess shirt , . Its super soft and super cute! . Each wash just makes it softer and softer. Welcome to Bubble Babys! We create cute little "must haves" for girls of all ages! Let us create something special for you! . If you dont see what you want just ask we love doing special orders . Wholesale items now available at BubbleBabys! Check our Shop Policies for all the information! If you like these types of items like I do you need to go check them out!! *Note* If interested in purchasing from her for the Holidays make sure you order soon she get's backed up!!! If you use the coupon code THANKS10 you will get 10% off your order!! !